“Headdress” (2015) by Tim Yanke. 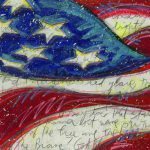 Park West Gallery is proud to unveil brand new works from Birmingham artist Tim Yanke during its July exhibitions showcasing Detroit artists. The second show in the gallery’s “Detroit’s Finest” series will showcase the abstract expressionistic artwork of Yanke from July 12-26 at its Southfield, Michigan location. Yanke will appear during an opening reception on July 12 from 12 p.m. to 4 p.m. The public is invited to attend and are encouraged to RSVP. One of the largest collections of Yanke’s works will be on display during his first-ever solo exhibition with Park West Gallery. Much of the art was created especially for the exhibition, giving collectors an opportunity to view Yanke artwork that has never before been seen by the public. “To go ahead and have a solo show like this eight miles from where I grew up, was born and where I spent my life, it all comes around, it seems like one complete circle,” he says. Yanke, the youngest of six children, was encouraged to pursue art while growing up in Detroit. He completed studies at the University of North Texas in 1986, and had his first exhibition at the age of 23. He worked as a graphic designer until 2007 when he decided to pursue art full-time, setting up a studio in Birmingham, Michigan. 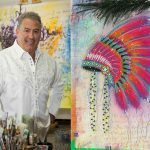 David Gorman, Park West Gallery Director, says with clear influences of Klee, de Kooning, and Twombly, Yanke has succeeded in creating identifiable abstract works that incorporate elements of Americana and Native American iconography. “With art history as a platform and a fearless approach to creating, Yanke manages to offer a new form of art that is simultaneously classic and innovative,” Gorman says. 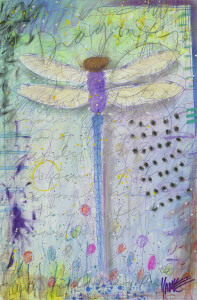 “Dragonfly” (2014) by Tim Yanke. Yanke enjoys using his talents to give back to charitable causes. 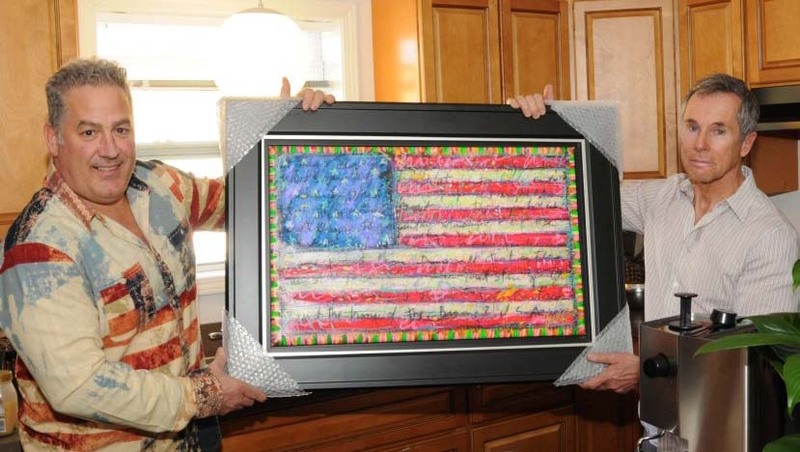 For instance, he has donated “Yanke Doodle” artwork to over a dozen participants with Habitat for Humanity of Oakland County, and has assisted in raising funds for the Oakland Livingston Human Service Agency. Yanke presents a “Yanke Doodle” to a Habitat for Humanity homeowner. Yanke has the honor of being the official artist for the 2015 Amelia Island Jazz Festival in Florida. His largest work hangs in the luxurious Henry Autograph Collection hotel in Dearborn, Michigan. Yanke’s exhibition is the second of three shows featuring Park West Detroit artists. His show was preceded by Marcus Glenn on June 28, and is followed by Dominic Pangborn on July 26. Admission is complimentary to the public. Gallery hours are 10 a.m. to 6 p.m. Monday through Saturday and 11 a.m. to 5 p.m. Sundays. For more information or to RSVP for the opening, call 248-354-2343 or visit www.parkwestgallery.com. 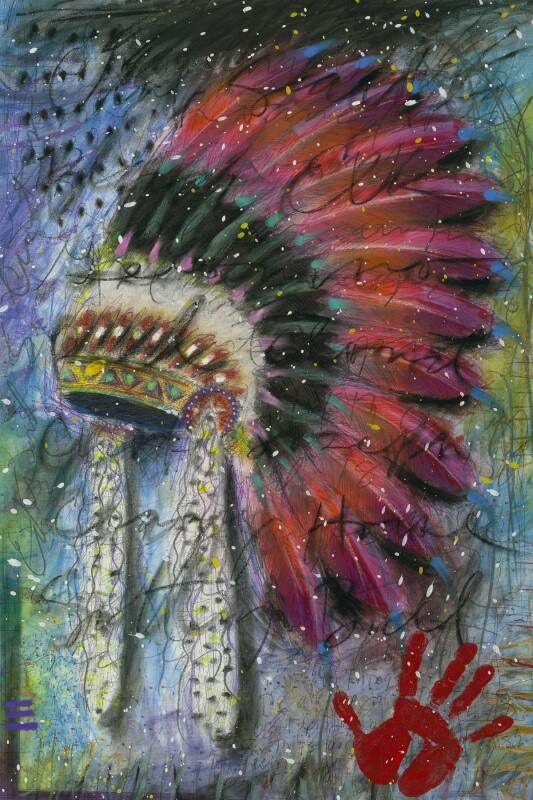 I have looked and looked for this headdress painting after seig it or one very close on a cruise ship. How do I get a price on this painting? Thank you Joan! We will provide your request to our gallery consultants, but you can also contact us at (800) 521-9654 ext. 4 or sales@parkwestgallery.com.